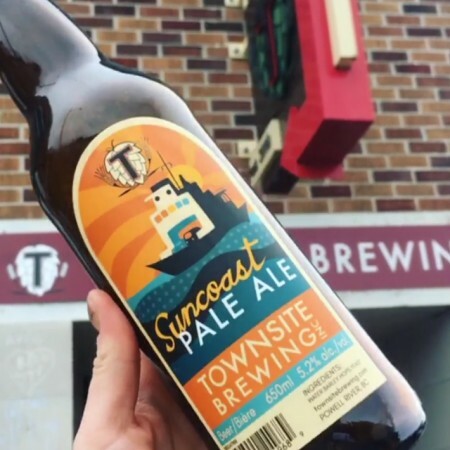 POWELL RIVER, BC – Townsite Brewing is celebrating its 5th anniversary this month, and rather than brew a new beer for the occasion, the brewery decided to put a local favourite into bottles for the first time. Suncoast is our draught-only offering and our definition of a session beer. Think smooth, amber and yummy! This is for hanging out with great friends and enjoying lotsa laughs. Suncoast will be available in 650 ml bottles for a limited time at the brewery retail store and select private liquor stores in British Columbia.